Vazhaithandu (Plaintain Stem) is a nutritious and edible part of the Banana tree. 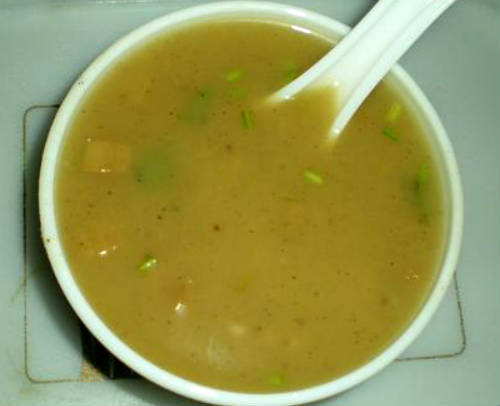 Widely used in South Indian, especially Tamilian food, this is a healthy and delicious soup to start any meal. 1. Melt butter in a heavy-bottomed pan over medium flame. 2. Add the vazhaithandu, carrot, beans, ginger, garlic and saute for 2 minutes. 3. Pour 1 cup of water and add salt. 4. Simmer for a few minutes. 5. Add little water to corn flour and add to the pan. 6. Cook for another minute or two. 7. Remove and pour into serving bowl. 8. Sprinkle pepper powder and serve at once. 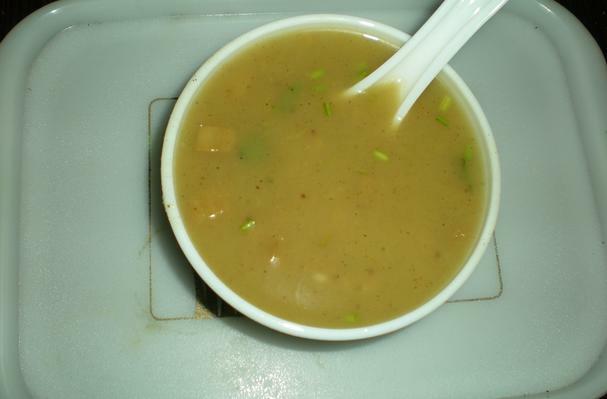 Feel free to comment or share your thoughts on this Vazhaithandu Soup Recipe from Awesome Cuisine.